Measuring 280*215*65 mm it is large enough to hold most of your accessories like 2.5″ external hard drive, cables, adapters, chargers, memory cards, batteries, pen and styli, or almost anything else you might need with you. 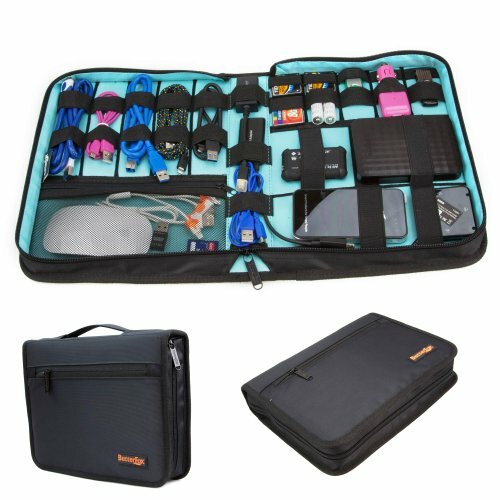 This organiser features 29 elastic loops of three different sizes, 1 internal zip mesh pocket and 1 external full-length pocket for important documents like passports, air tickets, boarding pass and etc. It provides excellent flexibility to allow you maximising its storage space.